Synthesizer enthusiasts lived (and still live) in a world of their own. Back in the 70’s or early 80’s you might have come across a Minimoog lying in some store window. 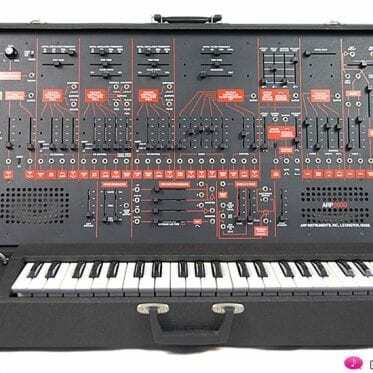 Or it could have been the ARP-2600, if you were lucky. Or an OSCar. BBig eyes and a flat nose on the pane … who didn’t dream of owning such wonderful electronic instruments? So you maybe took a second job (taxi driver) and, after arduous work and many privations, you could buy that Minimoog (or the ARP-2600 … well, the OSCar in any case – if it was still available). Friends came by, they were amazed and said Mhm! A red carpet was rolled out in honor of your instrument, you opened a bottle of wine and somehow life was very good. Today, 40 years later, we’re dreaming the same dreams again. This doesn’t necessarily happen in front of a music store window (forget the flat nose), more likely you’ll be browsing in a virtual store (eBay and friends). You’re dreaming of a small System 700, for example, just the main console, that would be fine. Or what about an ARP 2500 modular system? Not affordable back in the 70’s, but now it can be yours with a little luck and after another five years of juggling two jobs. (The instrument will probably work fine and shouldn’t require “too many” repairs if you are really lucky). Friends come over, say Mhm! The red carpet is rolled out, you open a bottle of wine … we’ve been there already. Things haven’t changed. Well, the life of a synthesizer enthusiast is just a little crazy. I’m one of them – my therapist (sitting right next to me) implores me to talk about it in public. Synthesizer enthusiasts should come down to earth, at least every now and then, he says. Shoulder on shoulder with reality! Reduction of those delusions of grandeur through a combination of fun and low-cost therapy. This self-help is now available to us thanks to the Berlin company MFB. No need for supersized flagships, instruments with cockpit feeling (tons of switches, knobs and LEDs) or other prestigious projects. It’s the small MFB Dominion X that will do the ticket. Slightly larger than a cigar box (remember those? 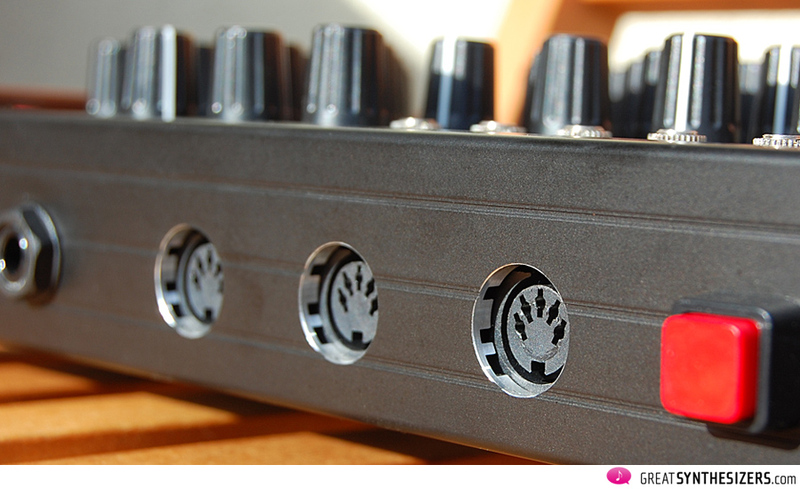 ), with buttons and a small patchbay, discrete circuits and unique musical possibilities. All for the price of a used Korg MS-10. You’re feeling better already? Perfect. 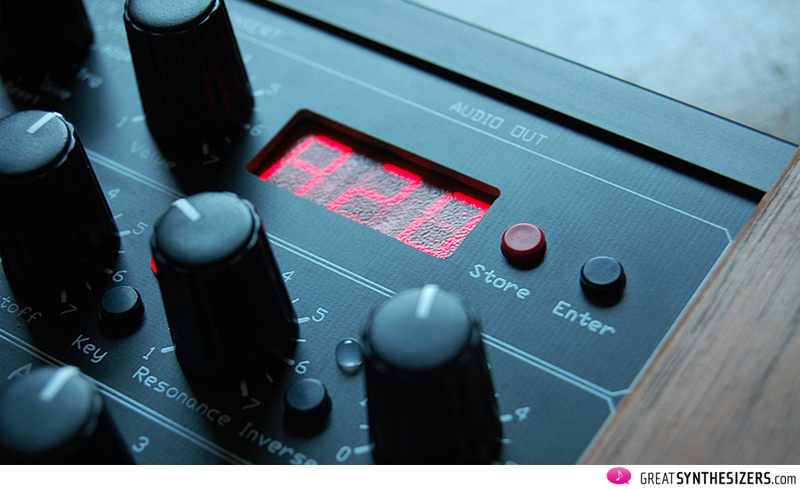 The Dominion X is MFB’s latest synthesizer. 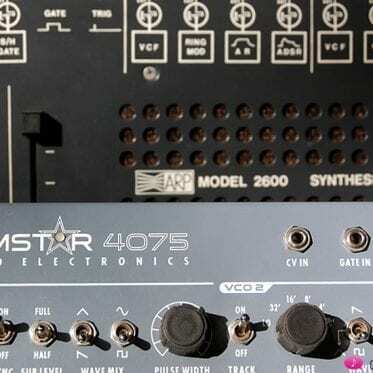 It combines analog synthesis, programmability and modular patching. It should drive fear and awe into your bones: The instrument is a combination of Minimoog (3 VCOs), ARP-2600 (CV inputs and numerous modulation capabilities) and OSCar (multimode filters and memories) … the whole package for well under 1000 Euros and – last but certainly not least – with an incredibly good sound. And what are your friends gonna say …? Now, let the crazies be crazy and simply turn to the equally idiosyncratic association of the Dominion X with the OSCar. The instruments are similar in at least three ways. Two of these are very positive, the third is a bit strange. Let’s start with the good ones. The filter of the Dominion X sounds fantastic. 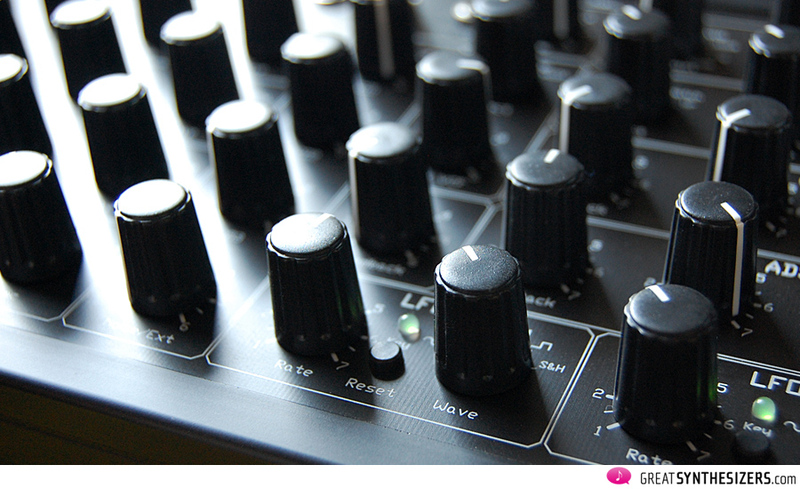 It reminds us of the OSCar in terms of sound, flexibility and its aggressive, strong filter resonance. The second parallel is storability. 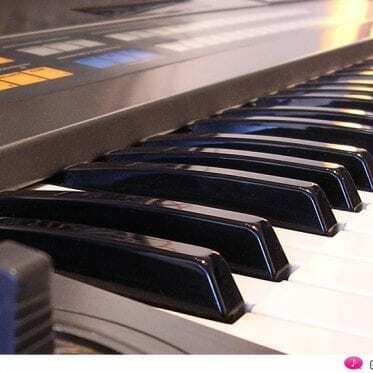 Memories on a monophonic synthesizer were a sensation in 1985, when the OSCar appeared (one of the last monophonics at that time, by the way). But you can’t take that for granted even today. Whether memories are necessary or not is a philosophical question, but regarding the huge potential of the Dominion X one can say: memories can be quite useful! The third similarity (the strange one) between OSCar and Dominion X is illustrated below. It relates to the ergonomics of the instrument. Anyone who has ever owned an OSCar knows that programming it is somehow like doing garden work in heavy rain. You don’t see too much. 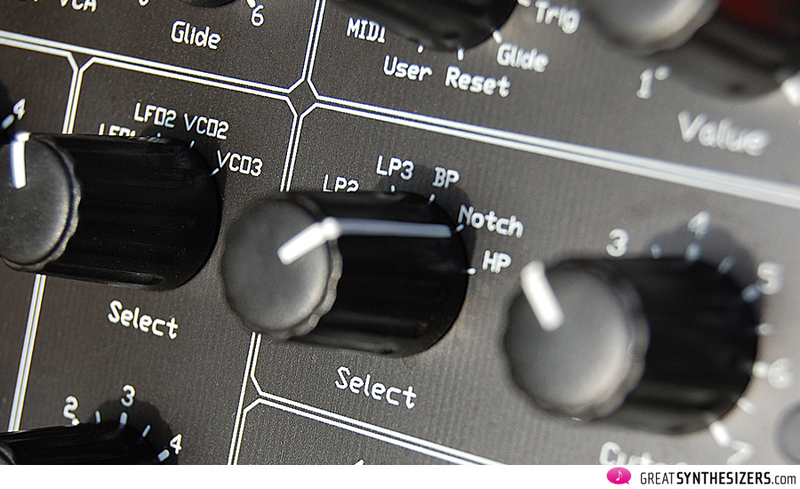 The knobs of the British hybrid synthesizer are so high that they partially cover each other. That probably makes it difficult to read the labels on the panel (the printing, which is not entirely unimportant). Now, this peculiarity of design is also true of the Dominion X. The knobs are very high and close to each other. Not that there isn’t a simple solution. Either you put the instrument flat on the floor and try to sit on a fluffy coat in a sort of Klaus Schulze meditation way, bending over the Dominion X (which may not be convenient in smaller studios), or you mount the instrument at an angle position on your rack (or on your desktop) so that you have “direct” visual access. In terms of manufacturing and hardware quality, the Dominion X is well made. The previously mentioned knobs positioned close to each other do wobble a bit, one of the few criticisms from our side. That being said, there is hardly anything else to find fault with! The pots are reliable and the high quality sockets are screwed directly to the robust casing. Thick wooden end cheeks give the Dominion X a vintage flair. Our Dominion X came with a user manual that doesn’t really deserve the name: two A4 sheets folded to A5, which makes 6 small sides of paper to read (since there’s only the logo on the front and nothing on the back). But we have to be fair: this flyer is explicitly titled preliminary instruction manual. While I’ve been composing this article the final instruction manual has indeed just been completed and may now be downloaded on the MFB website. We’re confident that all new Dominion X are now being shipped with the complete version (some 17 pages). Once you have read over the preliminary instructions (20 seconds) or the final user manual (5-10 minutes) and once you have found the perfect angle for your Dominion X (which might take another 20 seconds), you’ll probably be (briefly) at a loss for words. Some amazing features should become apparent and it may dawn on you that the Dominion X is not simply the equivalent of the very good (if somewhat differently designed) Doepfer Dark Energy, but a synth with a different design, more like a little monster. Each VCO has triangle, sawtooth, pulse (with PWM), an own ring modulator (VCO 1 <> 2, VCO 2 <> 3 and VCO 3 <> 2) and the possibility of wave shaping (via MIDI). The pulse width can be adjusted manually or can be modulated by LFO 1. Pulse width ranges from 50 to 95%. Interval- and fine-tuning plus octave selection (32″, 16″, 8″ and 4″) is also part of the oscillator section. This leads us to the following six areas that together exhibit the VCO modulation capabilities. They’re responsible for that little monster we were talking about. This section possesses considerable sound potential. Slightest changes in the beating behaviour of the VCOs (minimum pitch modulation by LFO 1, LFO 2 or ADSR), bidirectional octave modulations of two VCOs by LFO1 and 2, drastic frequency modulations by the LFOs (at high frequency speed), ever-changing sound impressions of the VCO’s mixture by volume modulation of one (or more) oscillators … these are just a few examples of the VCO Mod department. 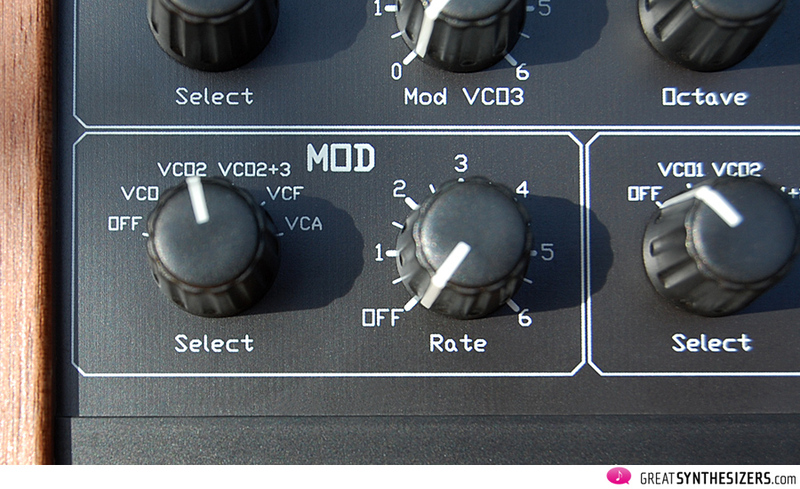 The dedicated Mod LFO may also influence the VCF and the VCA, but right now we want to focus on the oscillators. The LFO’s speed is manually adjustable. Turning the “Rate” knob fully anticlockwise disables the LFO. In this position the modulation wheel movements themselves are the source of control voltage. 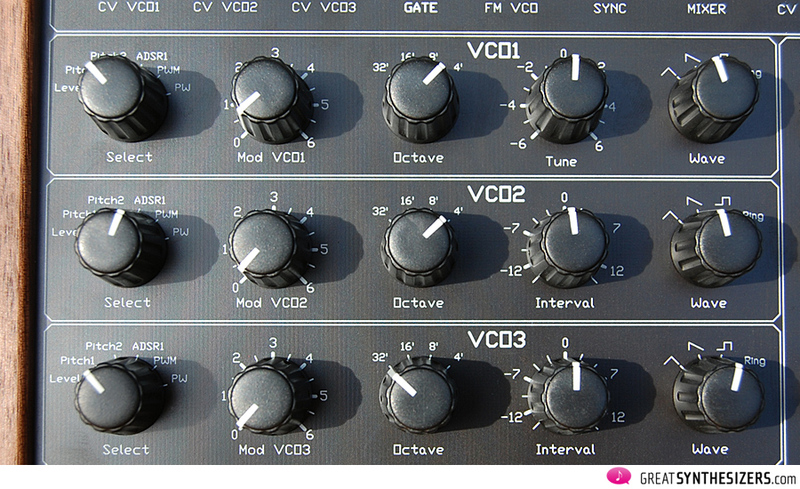 As you can see, VCO1 is always used as the master oscillator. However, it can be replaced by any signal attached to the SYNC socket in the patch area. This is, in other words, cross-modulation (one of the great features of the Roland Jupiter-8, by the way). As in the FM section, it is possible to override VCO3 by an external signal attached to the FM VCO socket. Other destinations of Velocity Modulation affect filter frequency, filter resonance, VCA and the modulation depth of the filter envelope … but again, we’re now concentrating on the VCO section. Well, pitch control via MIDI is self-evident. We’re just mentioning it for completeness. The CV inputs, however, are particularly interesting. Each VCO has its own CV input. Therefore, the oscillators can be easily combined with other analog synthesizers such as a Doepfer modular system, another MFB synthesizer (Megazwerg, just to name one), any Eurorack module (external LFOs, ADSRs, other VCOs, …) or any analog hardware sequencer, whatever. Strictly speaking, the oscillator CV inputs are cleverly routed. If just CV VCO1 is connected, all other VCOs are automatically linked to it. So, a single CV and Gate connection is enough to run the Dominion X properly. But of course you can have it more complicated and control each oscillator individually, as mentioned above. 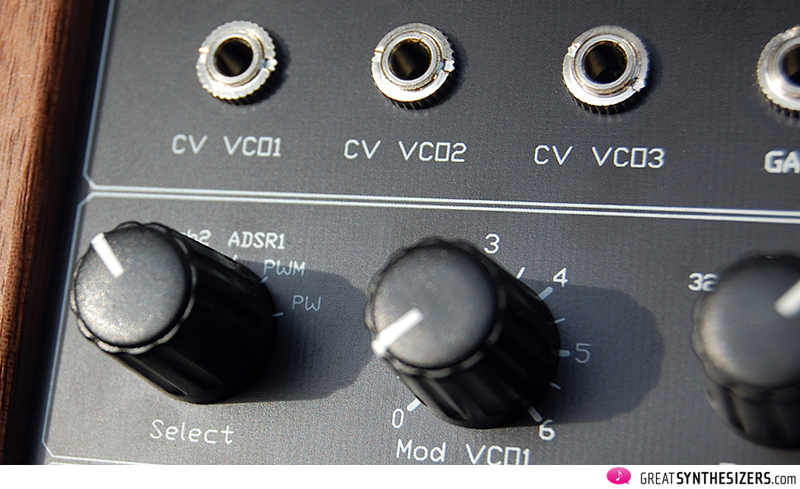 A comprehensive set of oscillators combined with vast modulation possibilities requires an equally potent filter. Or in other words: an ordinary 24dB low pass filter would be perfidy, almost like chalk and cheese. As already mentioned, the filter is of finest audio quality. It’s extremely expressive, rough, wild, analog. But all the glory would be pretty useless without proper modulation and control options. Then there is feedback. 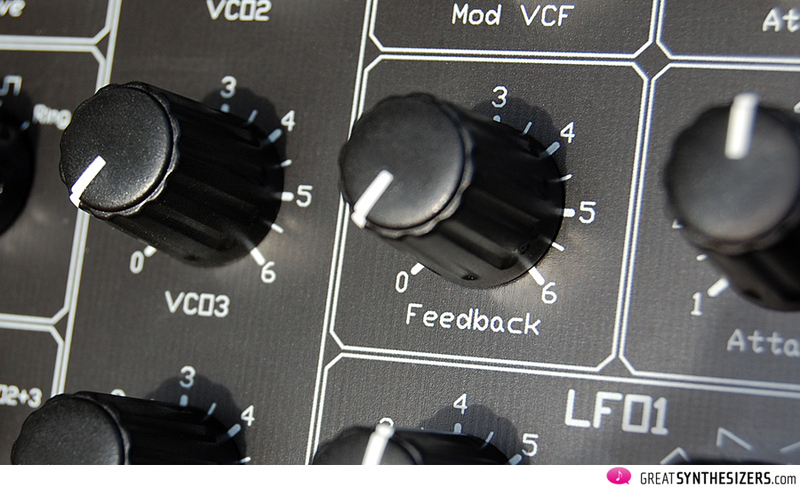 The output of the filter is routed back to the filter input, which can give you an aggressive, overdriven sound. Good old Minimoog offered this by simply connecting its own output to the input. Same thing, 40 years ago. We’ve already discussed the VCO Mod LFO, so now we can concentrate on the two main LFOs. 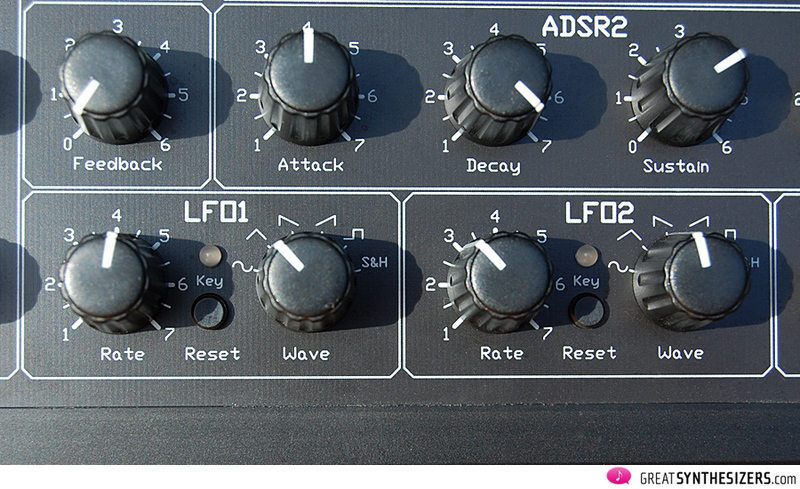 Each LFO offers 6 (!) waveforms (including sample & hold) and may be switched to one-shot-mode to emulate a simple envelope. The small multi-colored LED of LFO1/2 provides information on how each LFO is triggered. Last but not least, LFO speed control is possible via velocity (from -63 to +63 and therefore negative or positive). 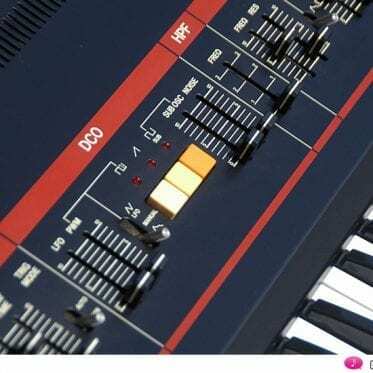 We also have this feature in the wonderful Yamaha CS-80 … and in the new GRP A4. The Dominion X has enormous potential. No, really, that “slogan” really applies in this case. And it gives you pause to think (more about that later). 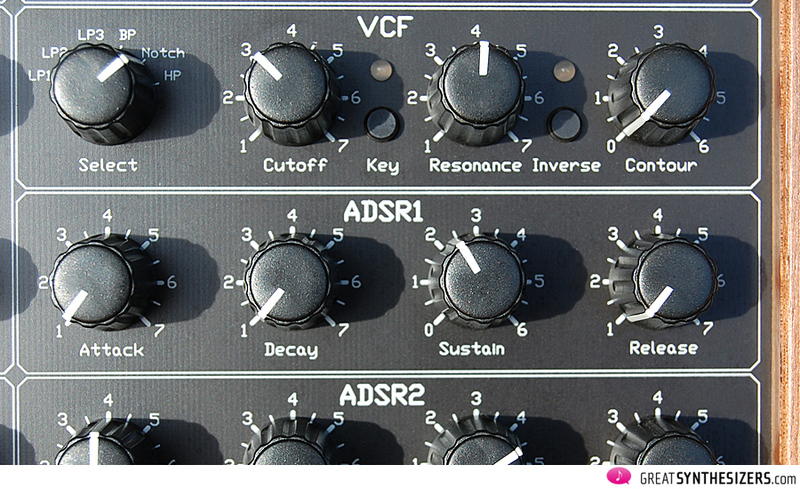 3 VCOs, 3 LFOs, a 6-way multi-mode filter … the basic sound architecture is imposing in itself. What surprises us is the rough, analog atmosphere of the Dominion X and its sound flexibility. Yes, we would expect fat bass sounds from those 3 oscillators. But how about this: soft lead sounds (preferably with one VCO only), sounds typical of dance music (out-of-tune oscillators in fifths and fourths plus an additional octave), the equally typical Vince Clarke electronic sounds (thanks to OSC FM, Filter FM, RingMod, S/H and more) … The practically infinite sound repertoire of this little synth just has to impress. The Dominion X can hold its own with those elaborate prestige models and overpriced collectors items that we talked about at the beginning. All in all, the Dominion X is a revelation. Such a compact (and surprisingly versatile) 3-VCO synthesizer is unique. A fantastic machine for those concentrating on sound expression and flexibility – the heart of music – as opposed to the flashy effects of the big synths. Some synthesizer collectors might stop and think about that. There are three things (in my personal opinion) that would make the Dominion X even more perfect. Most recently, there is a second version of the instrument, the Dominion X SED. It has a slightly different filter design (and is slightly more expensive). The 24dB and 18dB LPF of the original multimode filter were replaced by a 24dB and 12dB SED lowpass filter. No big difference, clearly speaking. It’s just that the Dominion X SED comes closer to that sought after vintage Roland sound. The SED filter design is a discrete analog filter with transistors. The little monster Dominion X from the house of MFB is a fully mature, versatile and very well sounding analog synthesizer. The attached sound samples (40 minutes of audio files) will convince you. With two exceptions these were all recorded exclusively with the Dominion X. 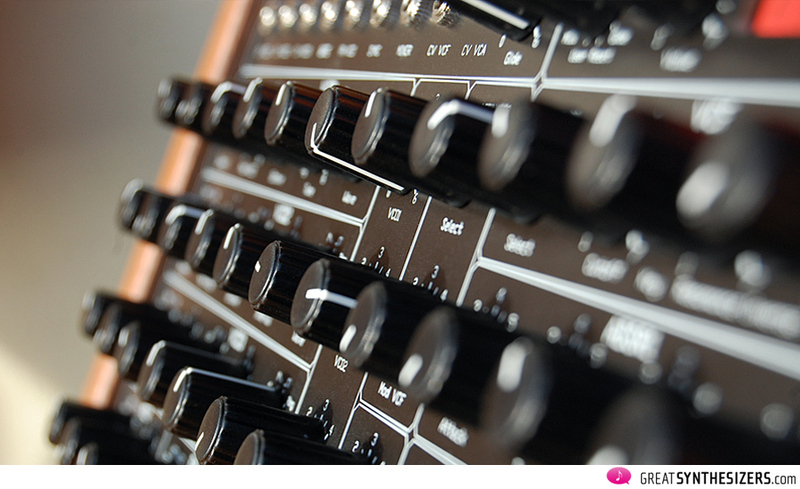 The exceptions are the mix files “CP70” and “OB-8”, where these mentioned instruments enhance the Dominion X results. 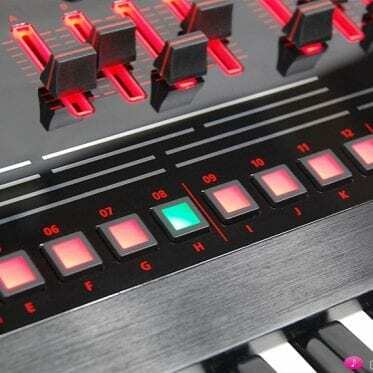 And the Korg Monotribe functions as a rhythm unit in some audio files. 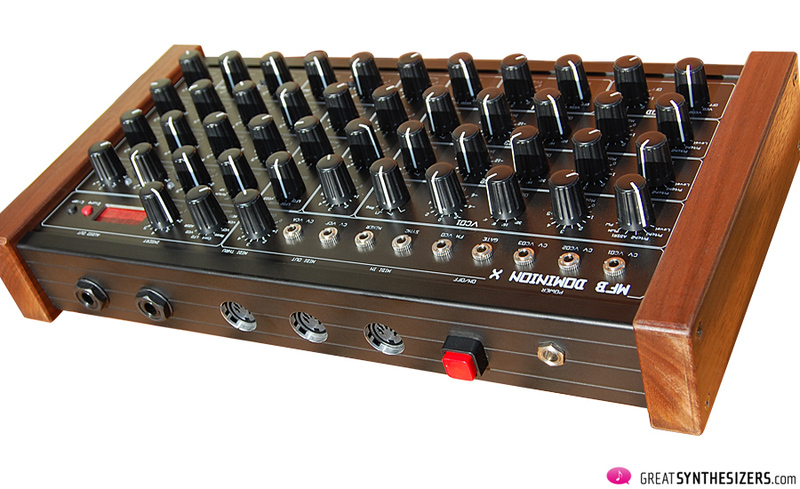 The Dominion X is the instrument for those sensible users who want to concentrate on the essence. Those who know what it’s all about. Those who want to make music, work creatively, lend musical expression to their musical ideas and effect this all with the help of just one instrument. For those with limited space or a limited budget. Who, nonetheless, don’t want to sacrifice high quality analog sounds. MFB has created the impossible: an elaborate analog synth of the smallest possible dimensions. The Dominion X / X SED is a further significant step along the path in the new analog era of synthesizer history. In 2014, MFB released the Dominion 1 keyboard. Another wonderful piece of musical instrument, with a huge patch-panel and other, stunning features. If you’re a synth player and if you’re interested in the Dominion X, then look out for the Dominion 1! The Dominion X is no longer available. The Dominion X is no longer available. Instead, we recommend its successor, the keyboard version Dominion 1. The new Dominion Club is the desktop (club) version of Dominion 1. Its price is 519 Euros. Have a look at the manufacturer’s website! Another thorough review. Thank you! What are you using to generate the arpeggiated sequence in the first track? Hey I know this is a couple of years late but are the demos on this page of the Dominion X or the X SED version? There is quite a difference from what I been told and just curious. I just got a Dominion One and was browsing around a bit and I don’t know if sonically it’s similar to your demos or if maybe those are the oldest Dom X you demoed? As I understand it the Dom One should be exactly the same in oscillator and filter as the Dominon X SED, am I right? Thanks for this very nice review and wonderful demos at the end, sounds great! So the big question is whether I should ditch my Tinysizer and get one of these instead. Looks like great fun and not as intimidating as the Tiny, powerful as it is. Thank you for a great and very through review of this little monster. I am very close to placing an order! However, one thing was not clear to me so I hope you can help me out. I cannot figure out if only the pitch can be controlled via MIDI or also other parameters of filters, LFO’s and so on? If not, can you recommend a suitable piece of hardware to enable me to control, if not all then most, parameters from my DAW. 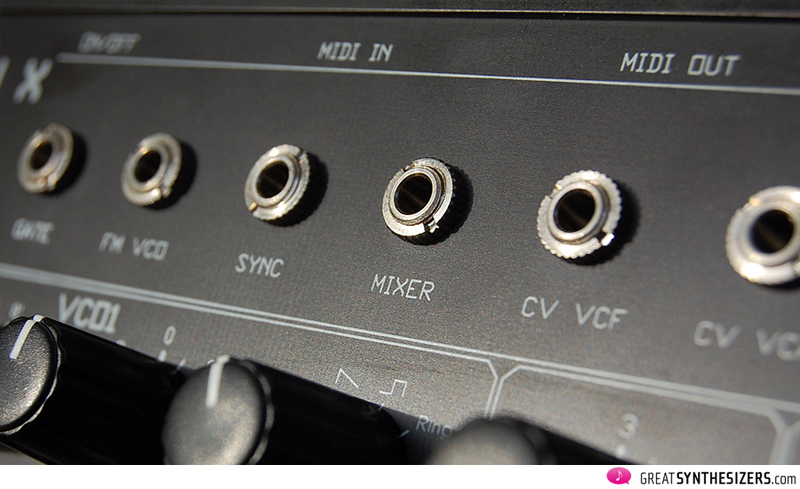 The MIDI possibilities are: Note on/off (of course …), MIDI channel, Midi Clock (all LFOs), Pitch Bend, ModWheel and Velocity (7 destinations to choose from! … such as filter frequency, filter resonance, global ENV times, VCA …). That’s not bad. 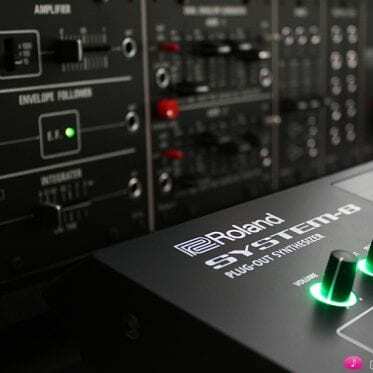 It’s not possible to control “all” parameters, there’s no MIDI CC for each function, as with the Roland MKS-80, let’s say. But I think you have to consider the price. 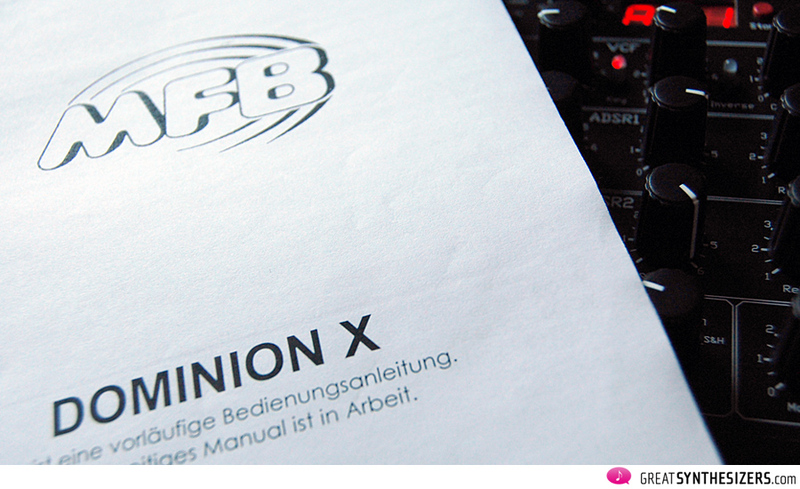 The Dominion X is sold for less than 800 Euros! 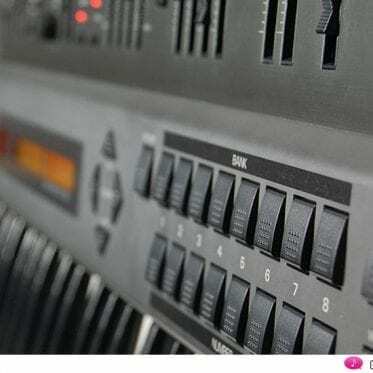 It has a brilliant sound, it offers dedicated knobs for all parameters … plus good MIDI- “and” CV-controls … plus 128 memories. Very impressive. The Dominion X is worth every Cent. The synth sounds really good, agressive and alive, but I think I’m going to wait for their poly and 523. When i listen to the Demo 2, i can hear different “tracks” : the bass, and the metallic ringy percussive sounds. Did you overdub those two “tracks”, or did you manage to do it using the 3 VCOs as 3 different “tracks”. In others words : is the Dominion a monophonic THREE voices synth, or a monophonic ONE voice synth (ONE voice based on three VCOs) ? Hi, I’m interested in one of these, i have at the moment, a Korg Mono/Poly which is beautiful, and can get quite aggressive and bassy, however the tones need alot of tweaking to find a sweet spot. It’s main strengths lie in mid or high parts i guess. Anyhow, i want a synth with PHAT bass, but also with the ability to go crazy and aggressive with FM and ring mod and stuff. And this looks perfect, as it’s within my budget. Do you think that the bass is nice and phat on this synth? I’m definately loving the crazier sounds too. Thank you for this thorough review and the incredible suite of recorded examples. Do you know if the Dominion X can be mounted in a 19″ audio rack? If the answer is yes, does the unit ship with rack ears? I noticed that the miscellaneous jacks do not appear to be located in a good spot for rack mounting. I am in the market for a synth with some character that can be rack-mounted. Sorry for the delay, Tom. The Dominion X is a pure desktop / tabletop synth concept. There are no rack ears available up to now. But it shouldn’t be a problem constructing such ears on your own. The jacks are mounted on the synth-/user-surface, correct. I personally prefer this position for patching, since you can “see” what you’re doing and since all eurorack modules have their in/outputs on the front, too. Thank you for this great review ! in one of the comment replys you say that LFOs can be synced with MIDI clock. Does it mean that it’s possible to have LFOs set to, let’s say, 1/4th, 1/8th or 1/16th notes according to incoming MIDI clock ? Or is it only with the 0-127 velocity that you can set their rate, which I guess wouldn’t be really precise at any BPM ? Hi Vincent! The Dominion X has LFO key trig only. This means it can retrigger its wave with every new note being played, ending up in something “similar” to LFO sync. It’s not the same as MIDI clock (this function isn’t implemented), but the acoustic result of LFO key trig(ger) is sort of LFO synchronization. Velocity offers a different possibility: you can influence the LFO speed via velocity – press harder and the LFO runs in audio frequency, press softer and it cycles slowly. A very experimental feature and great fun (and very, very useful!). Hey I have been looking at this synth for a while but also at the new Korg Ms-20 mini, I see you tested both how would you say they differ and which one can do the most things and sounds the best according to you? Can the Dominion X sound as creamy and dirty as the Ms-20 mini? I do hear alot of cream and nice filter sweep sounds which is what I am after in the Dominion X, but I also heard alot of gritty nice sweeps from the Korg but still not sure about the ultimate “sweep grit cream machine”? I am abit split, somehow I feel the Dominion X is a better buy because the annoying noise from the Ms-20 mini but also the 3rd oscillator and some of the other possibilities. 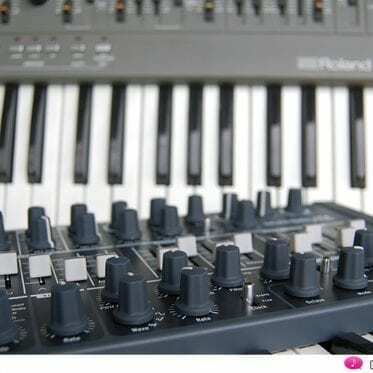 I did hear a nice function from the Korg where the filter changed over time when I played which gave a nice character and life to the sound, do the dominion X have the same possibilty? 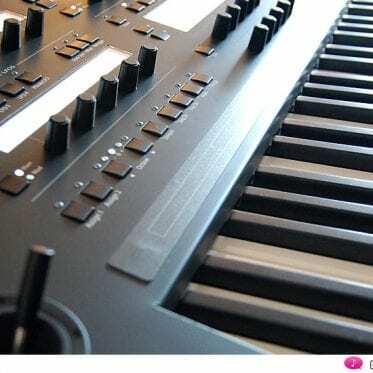 I really appreciate any help you can give me and I really enjoy reading your deep reviews it’s a pleasure really getting to know all small things the synths can do. I bought the SED after reading this and this is an amazing synth, some fantastic sounds and huge modulation potential. However, the envelope clip is often over-powering. I contacted MFB immediately and have now waited 7 weeks for some support which has been nothing more than an email saying they will be in touch with their solution. The worst customer care I’ve experienced, feel so annoyed after spending £700. Also had problems with midi so, overall, this reflects what others have said – not very stable, dreadful support, amazing sounding synth. … sad to hear about your bad experiences. Thanks for letting us know! Thanks for this review. I wish i could afford the Dominion 1..
Well after reading your Dominion 1 review and listening to your demo’s and others on youtube I have decided to return the X for refund and sell my Dave Smith Tempest.. I feel this is the right thing to do:) The Dom-1 sounds just incredible, everything i want is catered for. Thanks Theo! The Dominion 1 “is” unbelievable. I love it! 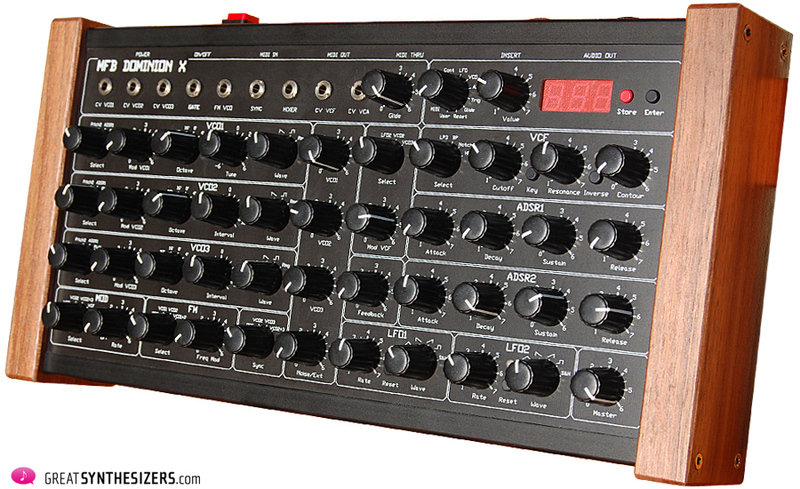 This is one of the most sophisticated monophonic analog synths ever made. It has (almost) everything you need. Congratulations to MFB – this is their first keyboard instrument … and it’s a hit! Previous PostExpert Sleepers “Silent Way” – MIDI-to-CV interface alternative?